MainAll NewsDefense/SecurityWatch: Undercover operation in Arab village. Border Police nab three terrorists near Ramallah suspected of arson during October fire intifada. 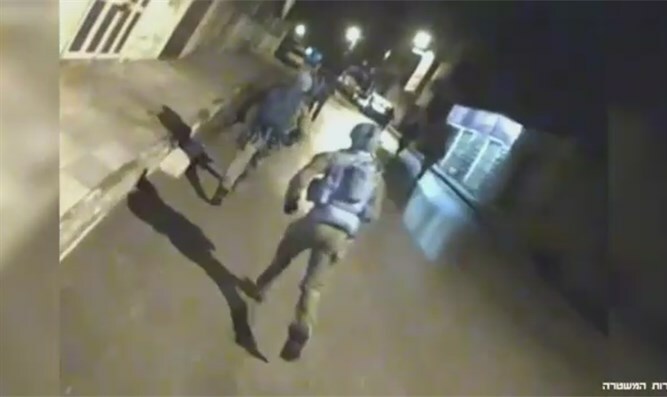 An undercover operation by Israel’s Border Police yielded three arrests in a village outside of Ramallah in Samaria, a police spokesperson said on Sunday. The three terrorists are suspected of having set fires next to the Jewish town of Halamish (Neve Tzuf) in Samaria during the wave of arsons across Israel last October. Several houses in Halamish were totally destroyed by the fires. No one was hurt and the residents, some of whom lost all their possessions, are living in temporary caravans set up by the Regional Council.